Climate change is one of the most pressing problems facing humanity and our planet. 'Wetlands and climate change', the theme of World Wetlands Day in 2019, drew attention to the vital role of wetlands as a natural solution to address the effects of climate change. World Wetlands Day is a global call for action for wetlands. This year governments, educational institutions, local communities, non-governmental organizations and the general public joined together as one voice expressing that we are not powerless against climate change and, that every action counts whether it be on a local or national level. More than a thousand events and activities took place across the world; from walks and talks, wetlands clean ups, workshops, seminars and new partnerships between the private sector and government. 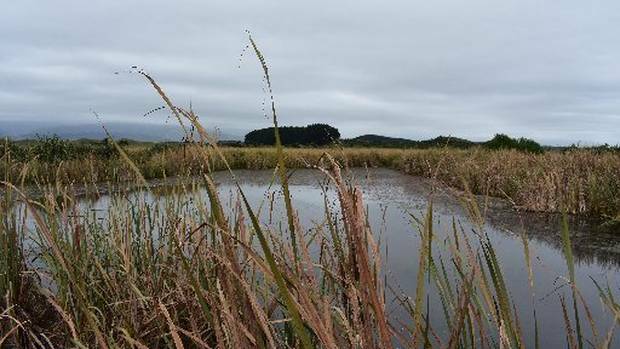 A new stamp released by New Zealand Post will help save wetlands. In New Zealand the public was encouraged to purchase a specially commissioned wildlife habitat stamp to mark World Wetlands Day, with funds raised from sales being used to protect habitats at risk. In Kenya, telecom operator Safaricom partnered with the National Environment Management Authority (NEMA), Wetlands International and other stakeholders to raise awareness on the urgent need to conserve Kenya’s wetlands. Partners agreed to work on the provision of technical support to engage the public sector on sustainability issues, the advancement of the climate change agenda from a thought leadership, policy and advocacy perspective, and providing advisory services on climate change action and information sharing. Griffith University (Australia) launched on World Wetlands Day a new website app developed by researches to encourage governments and wetland managers globally to reduce carbon emissions by protecting mangrove forests. The Mangrove Carbon Emission Simulator calculates the tons of carbon that would be released if a pre-determined area of mangrove forest was cut down. The team’s research has shown the amount of carbon that mangroves are capable of storing is 10 times higher than commonly believed. Coastal wetlands in general store more carbon than rainforests. In the United States, the Vermont Forest Partnership published its findings that for every dollar invested in forests and wetlands, $9 in natural goods and services such as water quality protection, flood control and carbon storage is returned. And a closer look revealed that Vermont wetlands top the list for economic return, providing an estimated $590 per acre annually in flood protection and wildlife habitat. In Rwanda World Wetlands Day celebration was proceeded by the national wetland week from 26th- 31st January 2019. The week included outreach programs, discussions in schools on how to preserve wetlands. 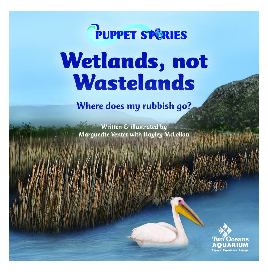 In Cape Town South Africa, the Two Oceans Aquarium published a children's book “Wetlands, not Wastelands”. “Wetlands, not Wastelands” is companion to a 6-part Puppet Stories book series. More that 50 000 copies of the Stories series were sold over the last few years. 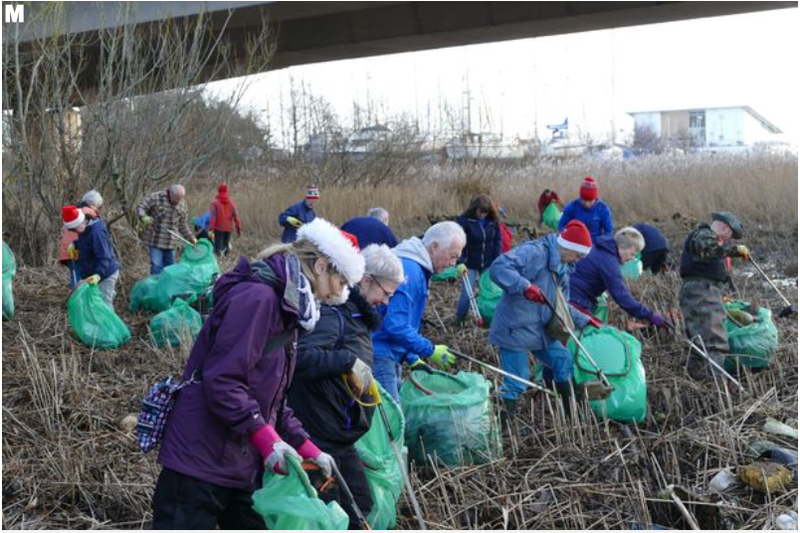 In Cardiff United Kingdom, a team of volunteers undertook clearing the trash and plastic waste dumped clogging the wetlands at Hamadryad Park. They filled 320 rubbish bags in this big clean-up. In Calgary Canada, scientists and policy makers gathered at Mount Royal University to close the "divide between wetland science and policy" and learn more about how wetlands help mitigate climate change and protect cities like Calgary from catastrophic floods. The symposium brought together scientists, the Government of Alberta, the City of Calgary, the Alberta Energy Regulator, industry, wetland conservation organizations and students. Mount Royal University aims to be a hub for the exchange of wetlands sustainability knowledge. In Morocco, to mark World Wetlands Day, the network “Gulf of Dakhla” launched a new project to sort the city waste. The project is estimated at $48,000 and aims to raise awareness among Dakhla city residents about the importance of waste sorting operations to better protect the environment within the city. In China a World Wetlands Day celebration ceremony was held in Haikou, Hainan Province hosted by the National Forestry and Grassland Administration and organized by Haikou Municipal Government. During the event a new report “Ecological Condition of China's Wetlands of International Importance (Ramsar Sites)” was released by China Ramsar Administrative Authority. In Myanmar, Inlay Lake was the backdrop for World Wetlands Day celebration hosted by the Union Minister of Natural Resources and Environmental Conservation H.E. Ohn Winn. The government of Myanmar has recently developed the National Wetland Policy and Strategic Actions, established the National Wetland Committee, developed capacity building plan for site managers and management plans for three Ramsar Sites. Currently the National Wetland Inventory is under progress. In Mexico on World Wetlands Day, the National Commission of Protected Natural Areas (CONANP) and the Secretariat of the Environment of Mexico City (SEDEMA) signed a coordination agreement to implement actions and projects that contribute to the strengthening, management, protection, restoration and sustainable development of the Natural Protected Areas and Wetlands of International Importance located within Mexico City. The United Arab Emirates has designated Hatta Mountain Reserve as its ninth Wetland of International Importance. India has designated Sundarban Wetland. The Site is located within the largest mangrove forest in the world, the Sundarbans, that encompass hundreds of islands. The Islamic Republic of Iran has designated Zarivar, a freshwater wetland featuring a lake fed by springs from the lake floor. Burkina Faso has designated Complexe du Parc Urbain Bãngr, located in the heart of Ouagadougou covering 945 hectares. Wetlands International in partnership with governments, universities and other conservation NGOs (including BirdLife International) has developed the Climate Resilient Flyway (CRF) project. The project pinpoints sites that will be hardest hit by climate change along the African-Eurasian Flyway uniting countries and organisations in order to protect these sites and their essential functions. The project used Ramsar Criteria 2 and 6 to make predictions on the future health of wetlands for their qualifying waterbird species resulting from the impacts of climate change. WWF International distributed social pack to 50 regional WWF offices around the world who helped to share the message. On World Wetland Day the Indo-Burma Ramsar Regional Initiative (IBRRI) launched its Strategic Plan for 2019-2024. 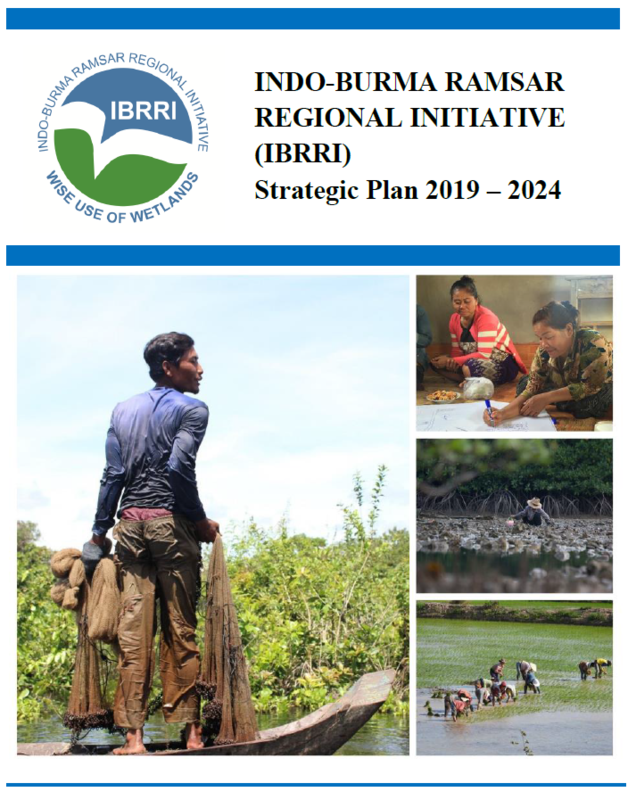 The plan, which will help IBRRI fulfil its aim to support the effective implementation of the Ramsar Convention in the Indo-Burma region consists of five “operational objectives” that align with the Ramsar Convention’s 4th Strategic Plan. Broadly, these objectives are to share knowledge, ensure the conservation of key wetland species, help develop and strengthen policy on wetlands, raise awareness and promote education, and ensure that the Regional Initiative is sound and sustainable. With funding provided by the Danone Group, the Secretariat produced a range of information materials to support the outreach efforts of Parties; these were posters, flyers, colour-in posters for kids, handouts, infographics, post cards and digital cards.The photo contest “The beauty of Wetlands” was launched at the same time and generated more than 400 entries. The press release “Harness the power of wetlands to tackle climate change - World Wetlands Day “was sent out in English, Spanish and French to international media. “Wetlands: a natural solution for reducing carbon emissions” was the topic of a panel discussion that took place at the World Meteorological Organization headquarters in Geneva, Switzerland. The session’s objective was to highlight wetland conservation and restoration as a sustainable solution for climate action to help reduce carbon emissions and adapt to climate change and address the opportunities and share examples of practical steps countries can take to include wetlands as part of their Nationally Determined Contributions under the Paris Climate Change Agreement. The discussion was moderated by Martha Rojas Urrego, Secretary General of the Ramsar Convention. The Secretary General has attended and spoke at a film event in Montreux, Switzerland where two films featuring Ramsar Sites in Switzerland were premiered. The films “At the heart of the Grangettes” and “The call of the Glacier” were written and produced by youth filmmakers.